A narrow concrete pathway leads from the harbour through a sparsely vegetated rocky landscape and crowberry moors to the lighthouse and the hostel, which dates back to 1850. Stora Fjäderägg is surrounded by ocean. From the lighthouse keeper’s stairs you can follow the ships travelling from the Bothnian Sea up to the Gulf of Bothnia. You can walk over sun warmed shingle fields and heathery moors, pick berries and mushrooms, fossick along the beach, and if you’re lucky spot a seal sunbathing on a cliff. The island is a nature reserve and has long been an important beacon for sailors in these difficult to navigate waters. 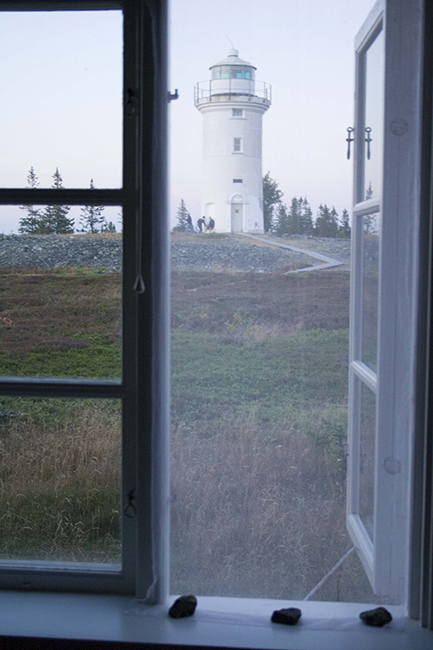 Migrating birds stop off at Stora Fjäderägg on their journey towards Asia or Africa (perhaps this is how the island got its name, which translates to ‘Big Feather Egg’), and a bird station is located in the lighthouse keeper’s quarters. Those interested in sailing can enjoy a trip on the gaff-rigged Holmö sloop, which takes guests to the island in summer.